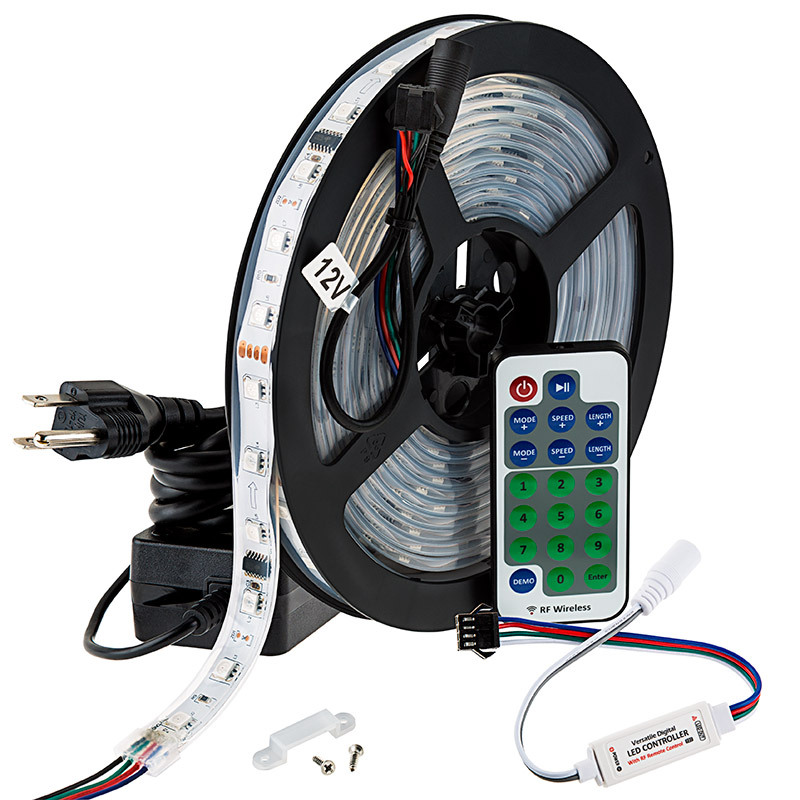 Color Chasing RGB LED Flexible Light Strip Kit - Includes Plug n Play Contoller with Remote and Power Supply: On Showing Multiple Color Dreamcolor Modes. 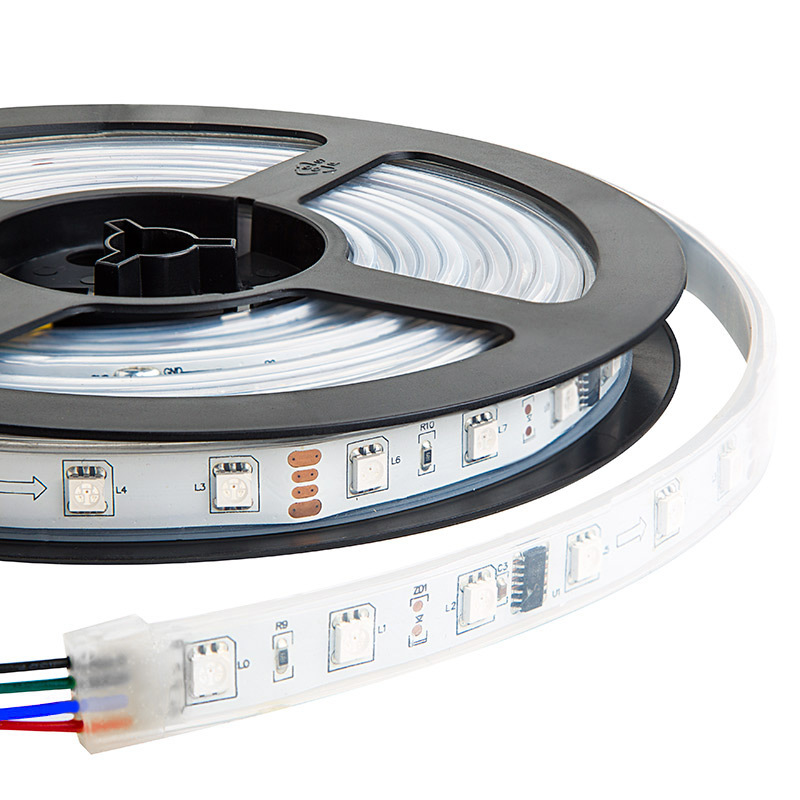 Color Chasing RGB LED Light Strip Kit - Waterproof LED Tape Light with 18 SMDs/ft. 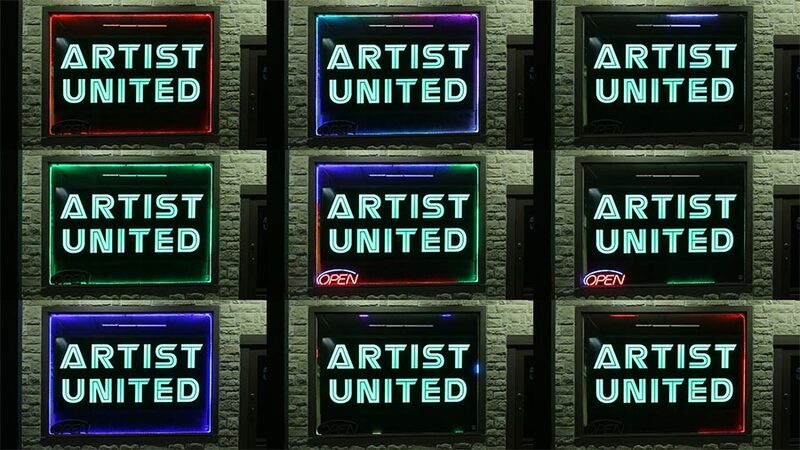 - 3 Chip RGB SMD LED 5050: Shown In Various Modes Around Storefront Window. 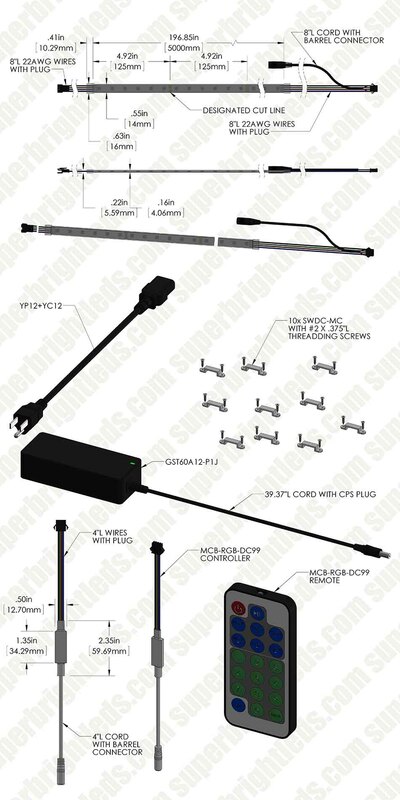 This Color-Chasing RGB LED Light Strip Kit provides years of outdoor illumination on decks, patios, gazebos, walkways, driveways, and railings but is also perfect for cabinet lighting, under-cabinet lighting, cove lighting, store window lighting, showcase lighting, trade show lighting, bias lighting, or for other indoor applications where space is limited. 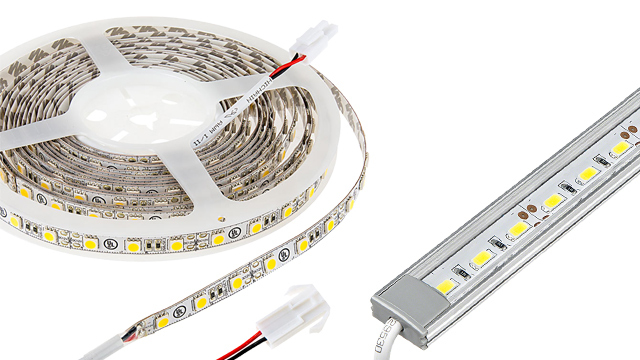 The flexible 16-1/2' strip has 240 LEDs (5050 SMD) with an output of up to 600 lumens. 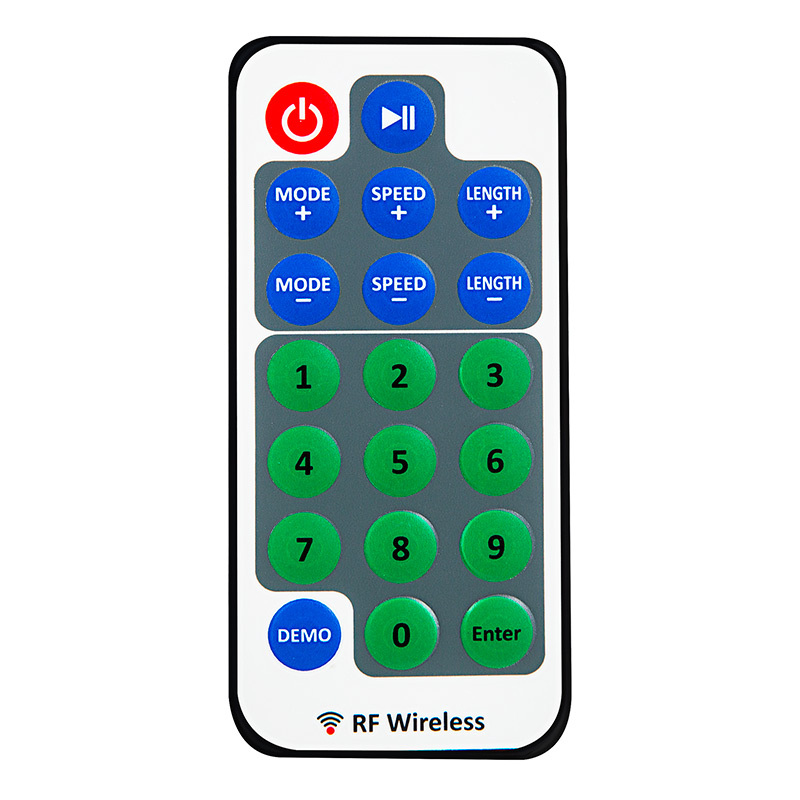 Adjust 29 colors and 99 dynamic color modes with the hand-held RF remote. The silicone-encased strip is waterproof for year-round outdoor use and is designed to last 40,000 hours. It operates within a wide 100-240 VAC range and can be cut into 6-LED segments. 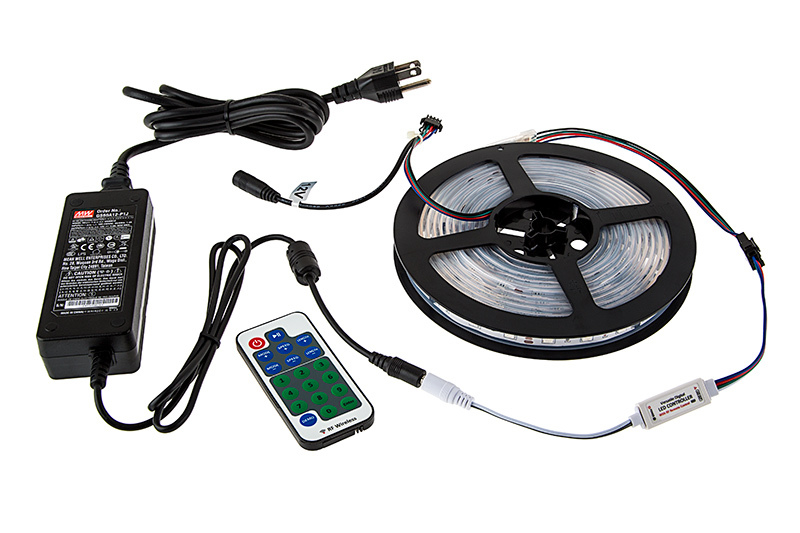 The kit includes 1 RGB LED light strip, controller with RF remote, a 12 VDC power supply, and mounting clips. Power Input: The power supply input and sleeve is negative. Also please make sure the power supply voltage is same as the LED load. The DC jack’s inner pole is positive. 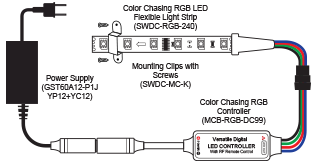 Signal Output: The control signal output connector to LED load. Mode Adjust: Adjust running mode. Jump to next mode by press MODE+ or jump to previous mode by press MODE-. Speed (Brightness) Adjust: Adjust the running speed of dynamic mode or brightness of static color. There are 10 levels for both speed and brightness. Pause / Play: Toggle between Play and Pause mode. It will quit pause and start to play if changing the running mode. 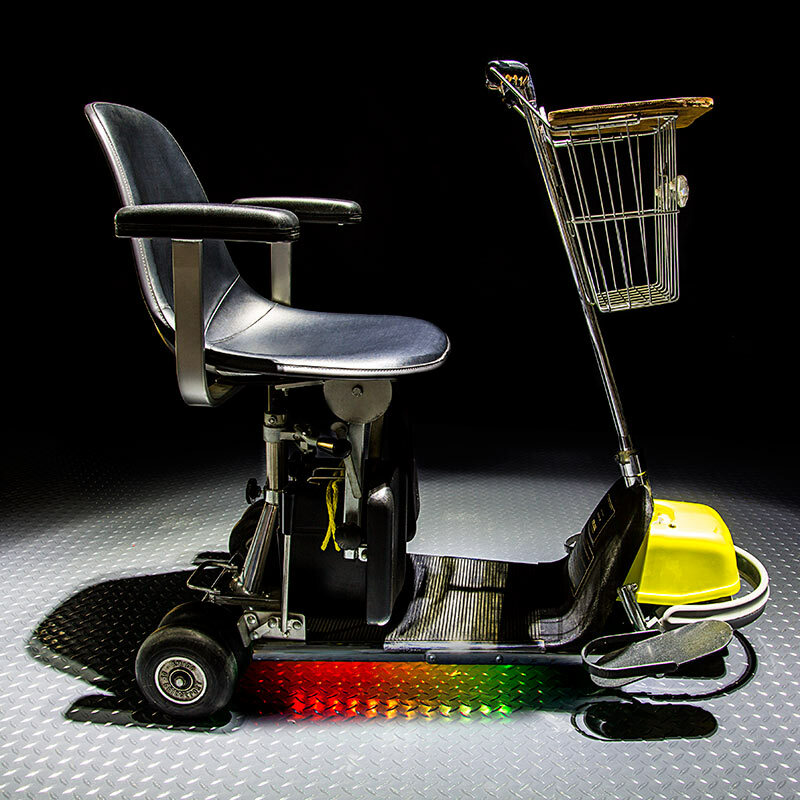 Turn On / Standby: Turn on or switch to standby mode. The main unit will memorize the current setting. When power on or turn on unit, it will automatically restore to previous status. Unit Length (Static Color) Adjust: Adjust playing unit length at dynamic modes or adjust color at static color mode. At static color mode, press these keys to loop change 20 colors. Program Direct Selecting Keys: User can directly select program by the number and Enter key in this area. For example, if you want program number 58, please press number 5 and 8, then press Enter key to confirm. The program 0 is static color mode. Press 0 twice then press "Enter". To cycle through static colors press either "Length" buttons. To dim current color press "Speed -" and to brighten current color press "Speed +". Return to dynamic color chasing modes by selecting either "Mode" buttons. Demo Mode: Switch to demo mode. In demo mode, the controller will automatically cycle play 99 dynamic programs. Remote Controller Indicator: This blue indicator will light up when remote controller works. In program direct selecting operation, this indicator will flash slowly until Enter key pressed or no operation for a certain time. Unplug the controller power and plug in again after 10 seconds. Press the ‘MODE-’ and ‘LENGTH-’ keys at same time once within 5 seconds after the power is on, then release the keys and press the ‘MODE+’ key once within another 5 seconds. The controller can be paired to maximum 5 remotes. Unplug the controller power and plug in again after 10 seconds. Press the ‘MODE-’ and ‘LENGTH-’ keys at same time once within 5 seconds after power is on, then release the keys and press the ‘DEMO’ key once within another 5 seconds. Unplug controller power and plug in again after 10 seconds. Press the ‘MODE-’ and ‘LENGTH-’ keys at the same time once within 5 seconds after power is on, then release the keys and press ‘SPEED-’ key once within another 5 seconds. The output signal is in a SM type plug. The cable at the maker side is power supply, the cable sequence is power-data-clock-ground. The control signals are running at high speed, LED may not work properly if the data cable is too long or gets interfered with. 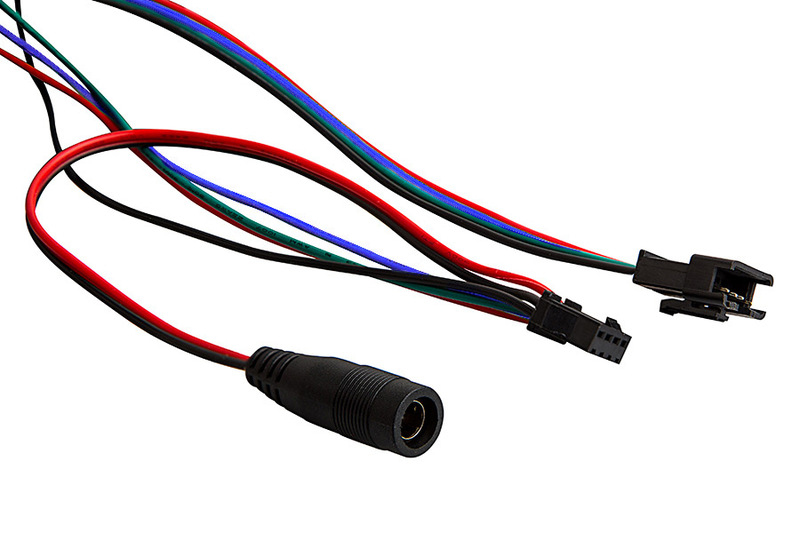 In this case, shorten the data cable from controller to LED or install the controller close to LED. Remove strip from reel and make connections to controller and power supply (see "Method 1" diagram). Briefly turn on strip using the included remote controller to ensure proper operation of the strip, controller, power supply, and remote. 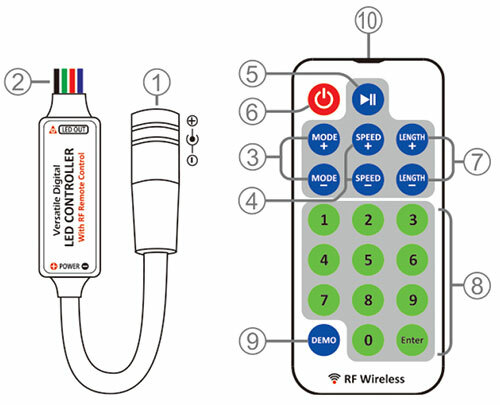 See Method 1 diagram for a guide to installing and connecting LED strip to included controller and power supply for your application. Choose your desired yet suitable location for the power supply and controller. 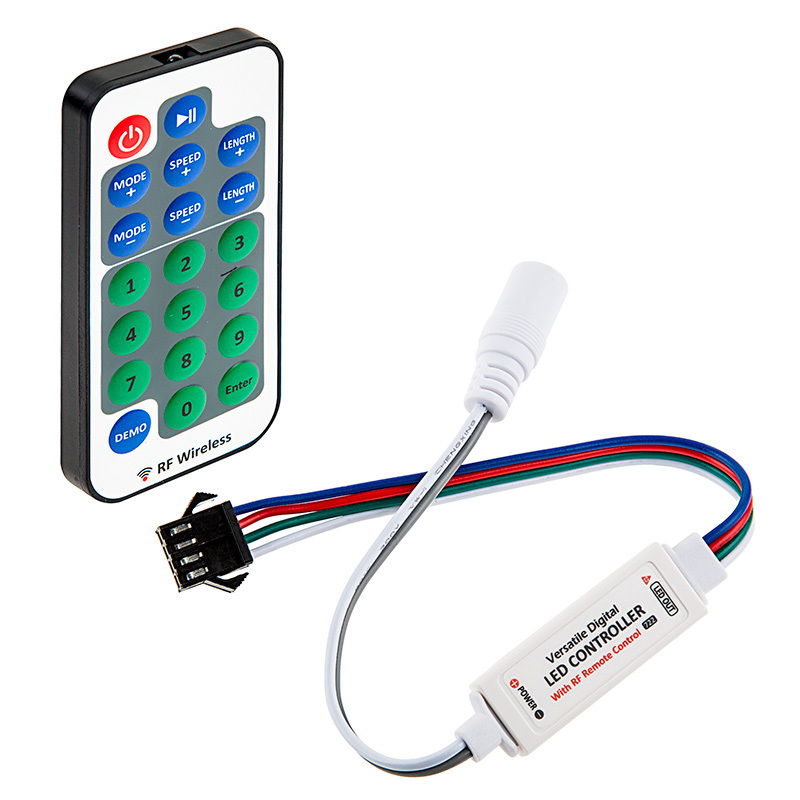 Controller can be hidden for use with RF remote control. 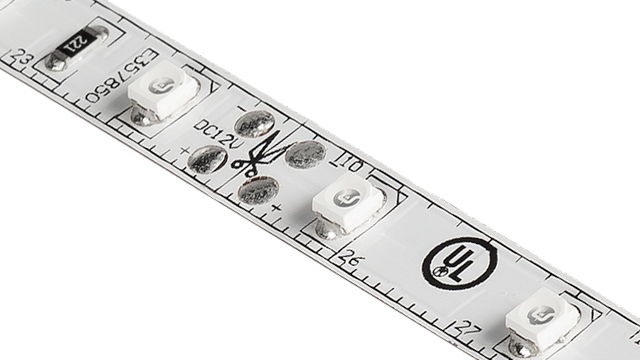 Use mounting clips to secure LED strip to surface. The power supply jack is a 5.5mm diameter DC socket. The main unit can work at DC 5V to 24V. 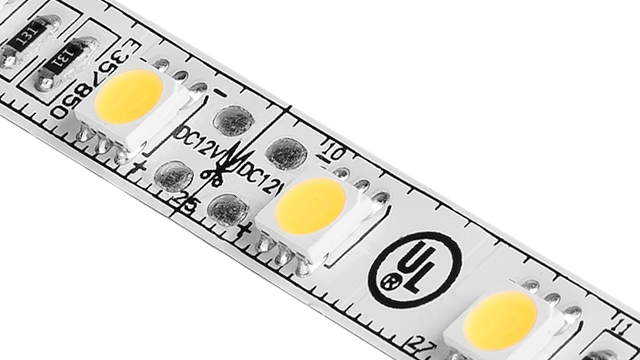 Since the power supply is directly connected to the LED signal output, please make sure the power voltage is same as the LED load, otherwise the incorrect voltage may damage LED load. When LED load is powered individually, the main unit can also work with the LED load power, and the power supply to this DC jack can be saved. 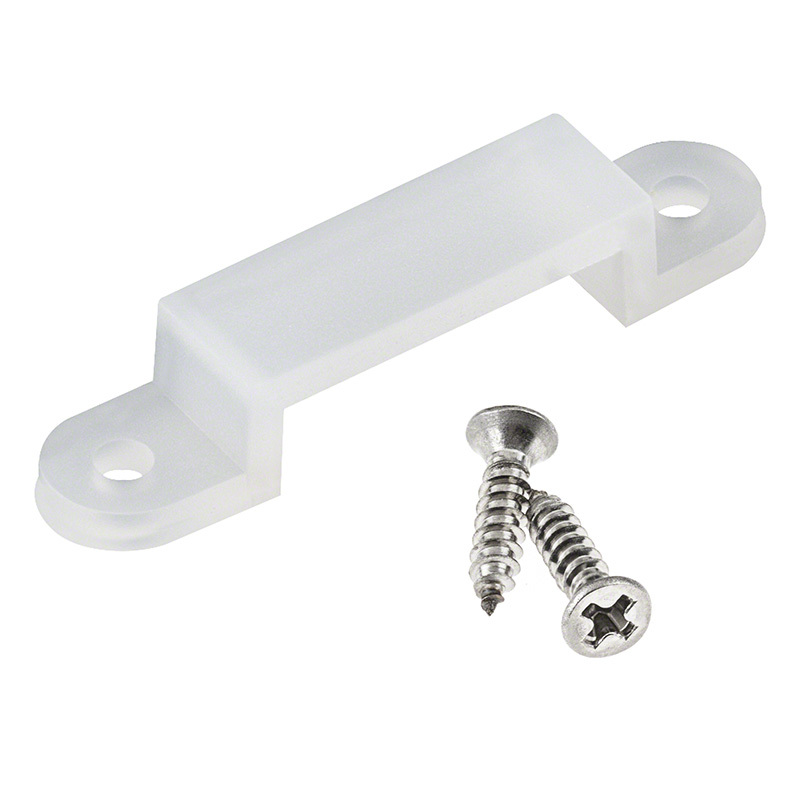 See product accessories for weatherproof housings and sealants. These lights are super bright and have SO many color options! I was able to see them from almost a mile away from my business! I even had someone stop to ask me where I got them from because they were so impressed with them! I definitely plan on purchasing more of these! 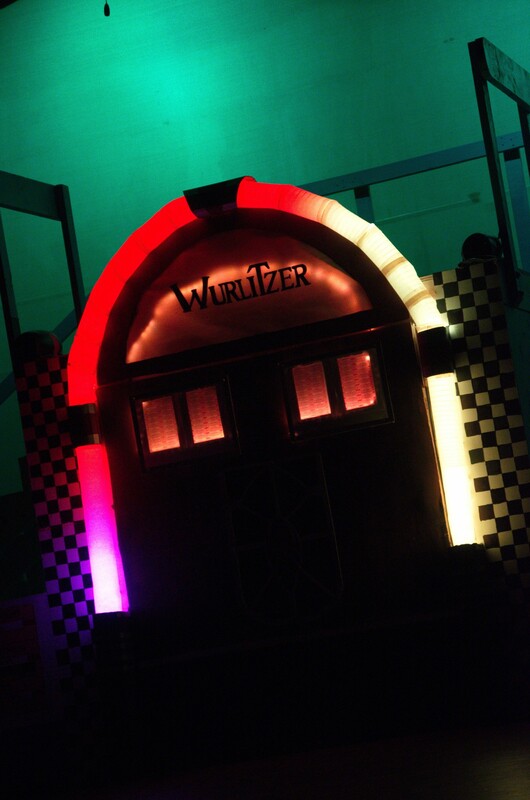 Used this lighting strip to create a jukebox for our high school's production of Grease. Installed them on the inside of a flexible "ferret" play tube and it created the "arch" of the jukebox. 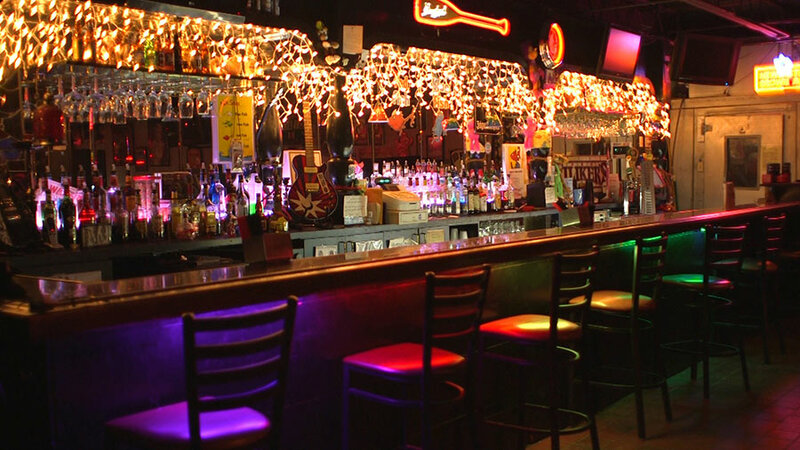 Each scene in the show had a different program running to match the mood. Easy to use and the remote easily worked from 80 ft. away. It really was another character in the show. 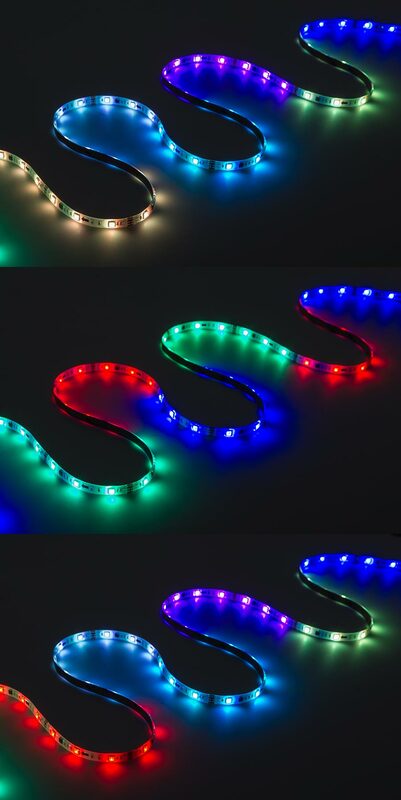 I brought a set of these light strip 11 months ago, I do love the color chasing effect it has and the many color chasing option it has to offer, the only thing that is wrong with my set is that the controller gave up on me so the lights don't respond to the remote, but all in all a great product. The variety of colors and display option are very nice.